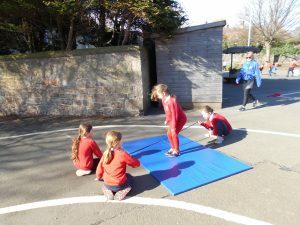 The lovely spring weather enabled us to have PE outside. 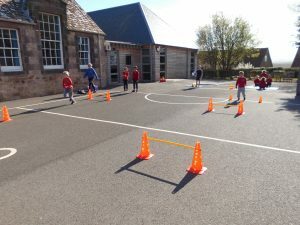 We worked in teams at different stations. 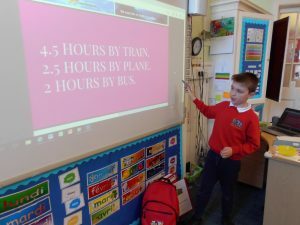 In maths we have been learning about place value. 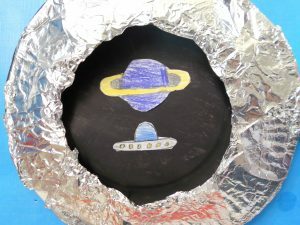 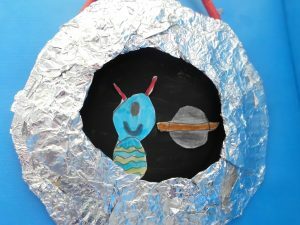 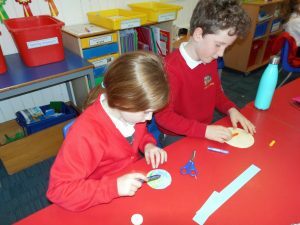 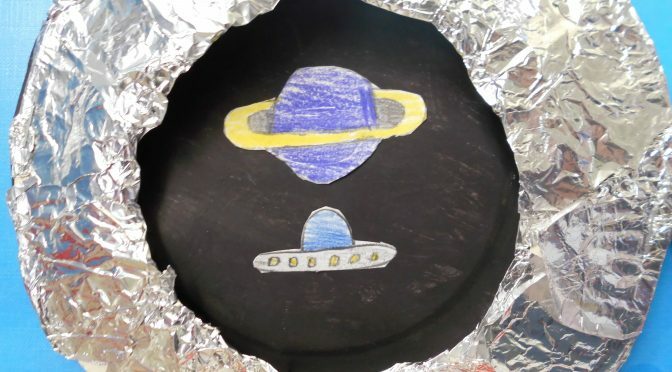 In art we created spaceship portholes. 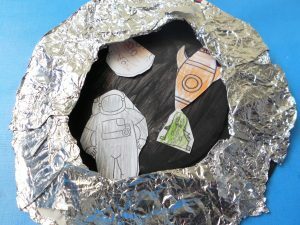 We used these ideas to help us to write a diary entry all about what you would see if you were travelling in Space. 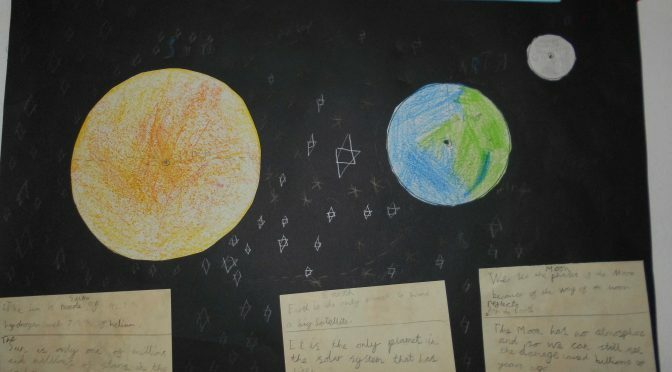 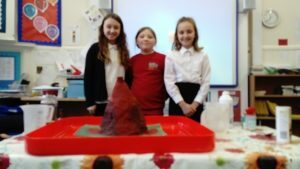 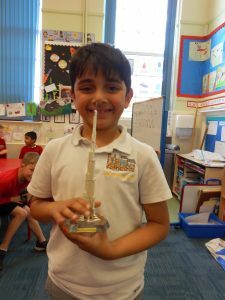 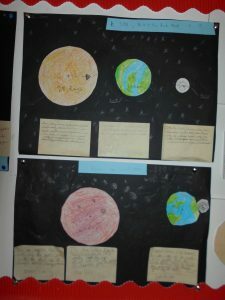 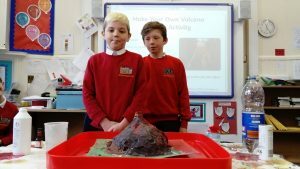 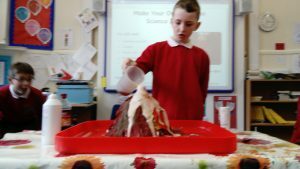 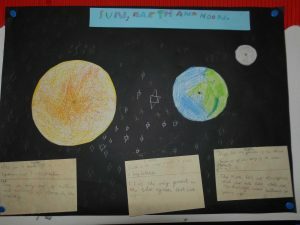 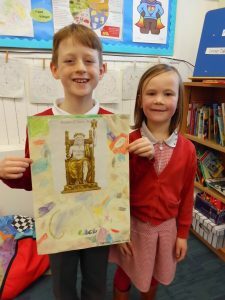 In Science we have continued to learn about the Earth, Sun and Moon. 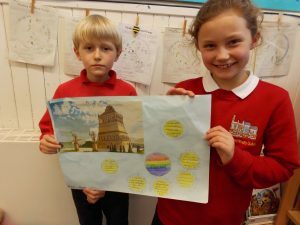 We worked cooperatively with our talk partners to create informative posters. 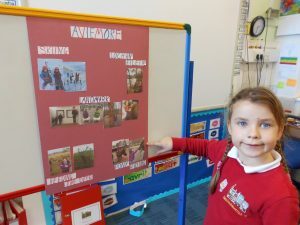 When writing imaginative stories we tried to include as many adjectives and adverbs to describe the setting and characters. 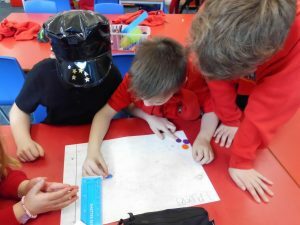 In maths we have been focussing on identifying and continuing patterns as well as using function machines. 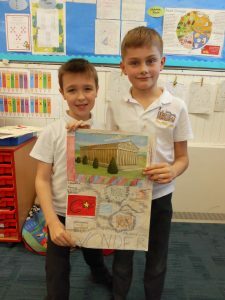 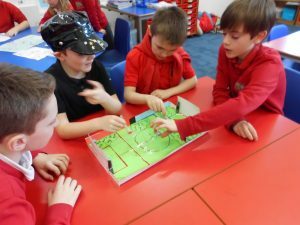 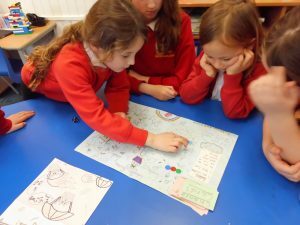 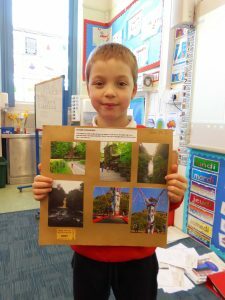 In the Thrilling Thursday Group P3/4 had the opportunity to play traditional board games designed and created by the older pupils. 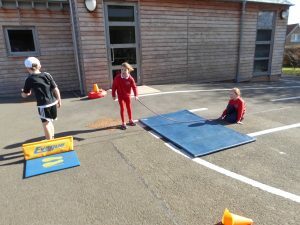 The pupils played cooperatively with each other, followed the rules, took turns and thoroughly enjoyed the experience. 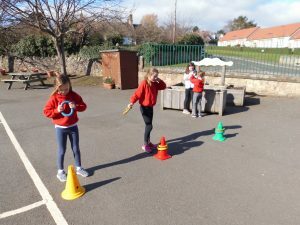 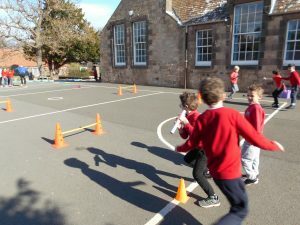 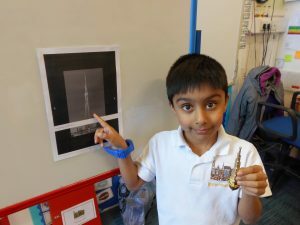 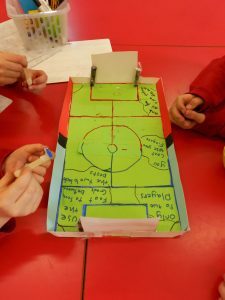 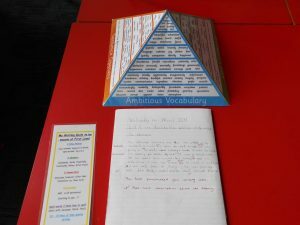 The pupils reviewed the games after they had played them and all games were highly recommended. 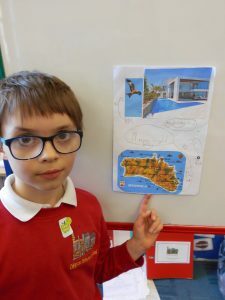 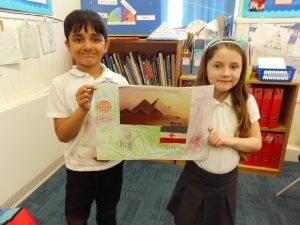 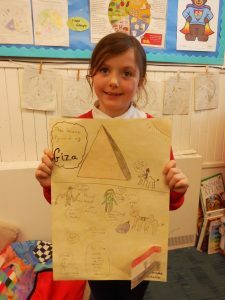 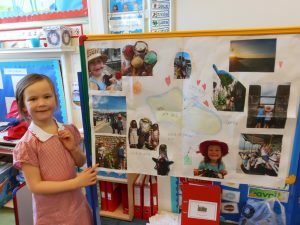 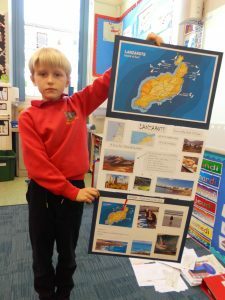 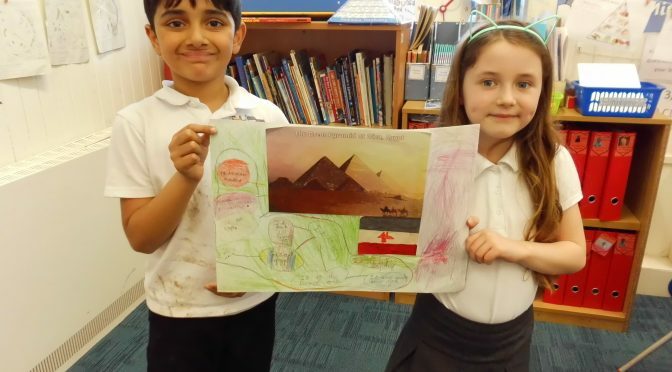 This week we have enjoyed listening to everyone’s presentations all about their favourite holiday. 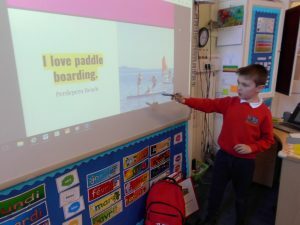 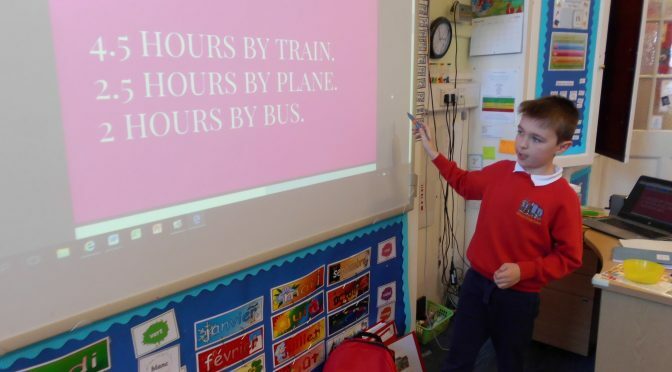 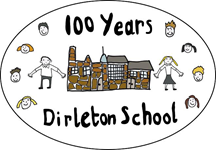 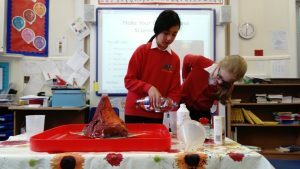 The presentations were very interesting as the pupils had organised their information well, spoke clearly and made lots of eye contact with the audience. 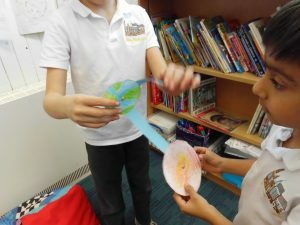 In Science we made models to show the orbit of the Earth around the sun as well as the orbit of the moon around the Earth. 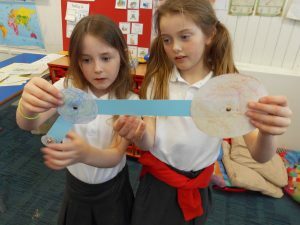 We used these models to help us understand day and night. 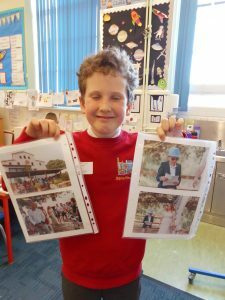 Here’s a few more photos of the presentations.